There can be many reasons why someone would need a heavy duty guest chair and with the amount of styles and designs available it can be hard to choose the perfect chair. But when looking to buy guest chairs for heavy people, the majority of the options are eliminated. This is simply due to the chairs not having the framework to support high weight capacities. Which in a way does make the final decision a little easier as there are less options to choose from, but the hard tedious work of finding these 500 pound guest chairs can be quite difficult. Even when you do find a high capacity chair, its not to say the chair is actually going to be big enough to seat a larger guest. So there are certainly some hurdles you have to jump when looking to buy an oversized guest chair. 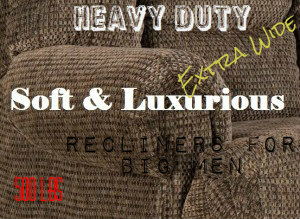 To make life somewhat easier, I have listed a few of my favorite guest chairs for the big and tall people. But as I said earlier, these chairs can be used for many reasons so be sure to keep scrolling until you find the right chair for your needs. Some of the guest chairs mentioned below can be used as oversized office guest chairs, reception areas, spare bedrooms and simply when having larger size guests over for a party. When you need a heavy duty chair that can hold just about any guest, you will want to consider this 1000 pound guest chair by Flash Furniture. The high weight capacity and the contemporary design means this chair won’t look out of place in most scenarios. Also available in black patterned on amazon as single chairs or sets of 2. This stacking chair is another quality chair in their ‘Hercules’ big and tall range. So far Flash Furniture have managed to satisfy the demands for the heavier people in all sorts of chairs from dining chairs to office chairs and now guest and reception chairs. Because it is stack-able (up to 12 chairs), the can be great assets to offices and event holders anticipating a large number of heavy guests. You will notice that the chairs come with extra brackets and screws. This is for if you buy more than one and want to stack them on top of each other. The chairs also come with guards that protect the steel frame from scratches when being stacked which is a nice touch. The 20 inch wide contoured seat is quite well padded which does help for times when you have to sit for longer periods. It’s also at a decent height being about 18 inches from floor to top of seat. Any lower and it becomes more difficult to get up from the seat as a heavy person. But all in all this is a handy guest chair due to its 1000 pound capacity and wider seat and taller back. When you run an office whether it’s big or small its inevitable that you will run into guest chair problems. So it’s best to play it safe with an oversized office guest chair. The two options available here don’t have the full functionality of an oversized office chair, however they are ideal for sitting down with guests one on one in the office. The first option for guest chairs in the office is also by Flash Furniture. Rated to hold 500 pounds, this guest chair is designed for the big and tall. While it’s a pretty basic looking chair, it does the job well. The simple design will work in just about any office and the high weight capacity allows heavier guests enjoy peace of mind when sitting. The seat is actually quite wide too, between the arms it’s about 23. Which is quite oversized for a guest office chair. But be sure to allow about 25 inches of width in the office as you got to consider the arms of the chair as well. Everything is well cushioned including the arm rests. Flash Furniture have spared no discomfort when designing this chair for guests. Even the front has a waterfall seat edge which helps with circulation of blood and oxygen that can reduce the amount of leg tension and strain after long sitting sessions. The second option for office guest chairs designed for heavy duty use is this very stylish singular or set of chairs by Kinbor. The chrome steel frame finished in the PU leather just looks amazing. While I’m not the biggest fan of PU leather, it has its purpose and if you look after it well you can get a decent lifespan out of it. But don’t expect genuine leather quality for this price. If you can get over the fact it’s not 100% genuine leather, you may be amazed at how professional this guest chair looks. But the main call card is the heavy duty steel frame. Whilst only able to withstand 330 pounds, it’s still quite a heavy duty chair. The options to style up any office can be varied due to this chair being available in a single chair or double chair. Combine them for a set and the office will look amazing for arriving guests. OFM have made some brilliant office chairs over the years, especially for the big and tall. When it comes to guest chairs, OFM offer this 400 pound capacity beast. Whats great about this option is that it is armless. 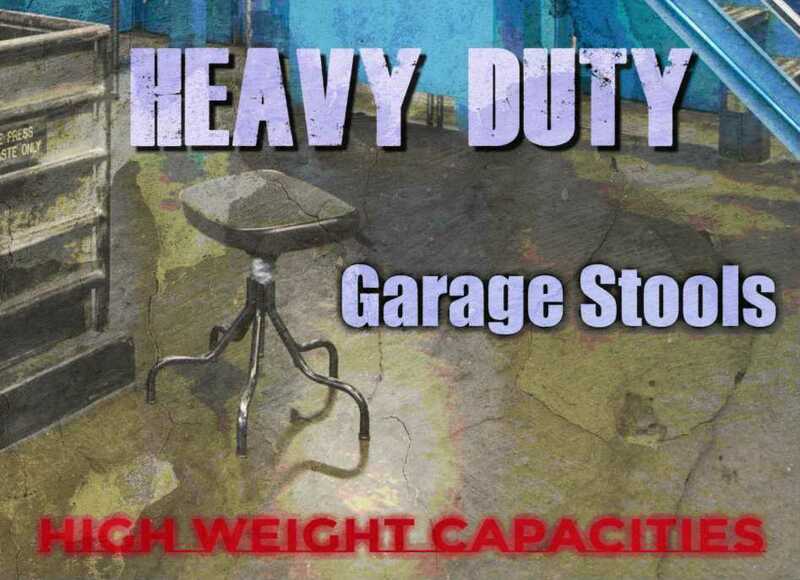 So heavier and bigger uses can find a seat no worries without having to worry about squeezing in between narrow arms. However, if you prefer arms, this model is available with arms as well. The fact it has a stocky 400 pound capacity allows a large number of heavy people to take full advantage of this very well padded chair. Normally the padding is a bit on the slim side for guest chairs. But OFM have fixed this issue and pumped up the padding to over 4 inches thick for both the seat and the back rest. Which is quite the relief for any big person tired of feeling the seats base come through the padding. The chair is quite sturdy but comes with feel levelers on the sled base if the ground is not level. But can also be used on carpet for easy sliding. In terms of size, its a generous 22 inch seat with a depth of about 16 inches. Overall this OFM is a great guest chair for larger people. It got the width, the weight capacity and most importantly its very comfortable. Its also available on amazon in a multitude of colors to suit most office, reception areas, waiting rooms or simply for personal use. But do note that the chair sits lower than most guest chairs (About 18″), which is not ideal for obese people. This pack of 5 conference room chairs are ideal for the overweight and plus size guests. While they are not in the premium line of chairs, they deliver great value for your money. Made by Giantex, each chair can withstand 330 pounds of weight. The steel frame combined with the open design allow bigger people the freedom to sit with comfort. The only thing that is really of concern is the fabric as it collects hairs and lint. How much of a concern really depends on your intended use of these chairs. While I would prefer an extra inch r two of padding in the seat, at the end of the day you get what you pay for. In the case of this 5 pack of stacking Giantex guest chairs, you get value for money compared to paying double the price for a more premium line of chairs. For the more sophisticated look, you can’t go past these guest chairs by Wahson. If class and elegance is the look you’re going for, these 300 pound capacity chairs will match perfectly. What makes this a heavy duty guest chair is the steel frame and the sled base design. This allows for greater structural support while offering a unique visual appeal. The base also comes with nylon pads which will stop the chair from scratching timber and vinyl surfaces. What this guest chair offers that many don’t is lumbar support. This is especially important for us bigger people. Our backs tend to get sore much faster and having this support in the lumbar region certainly makes a difference. While the seat itself isn’t the widest, fraction under 20 inches wide, the arms can be removed for wider guests. Its always good to have this option as many chairs simply don’t allow you to remove the arms and still be a functional chair. Overall I really like the visual appeal of these guest chairs. They look amazing, come in black or white and can handle some heavy weights. The ribbed leather look is perfect for anyone wanting to add class to their home or office. When size is important, this extra wide guest chair made from one inch thick oak is the go to option. It has an incredible 28 inch wide seat and can handle a hefty 800 pounds of weight. The perfect guest chair for the obese people. The reinforced back and seat allows the heavier guests to feel comfortable relaxing in this chair. It’s the worst feeling knowing that you’re too heavy or too big for a chair and this option takes that fear out of the equation. The padding on the chair including the back rest is quite thick and durable. However for bariatric guests it may still be a little thin. If you anticipate bariatric guests, an extra layer of foam wouldn’t hurt at all. Guest chairs can come in many shapes and sizes, so it’s not the easiest task to find the perfect chair for everyone. If the above guest chairs don’t meet your needs, there other avenues to explore. 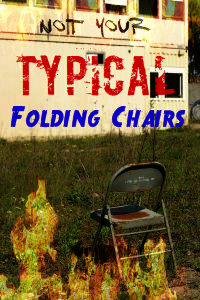 Folding Chairs: Folding chairs can be the big mans best friend. They are lightweight, compact and easy to carry around with you. Whether you need them for personal use or for events, there is a folding option for the larger person. Indoors folding chairs are great for reception areas, seminars and general household use. Whereas outdoor folding chairs are great for bbq’s, parties and even sporting events. Patio Chairs: When you’re hosting a party or a social gathering, digging up chairs for the large number of guests can be difficult. Especially if you have larger guests arriving. Which is why you need oversized patio chairs to get the job done right. Directors Chairs: For a more casual approach to heavy duty guest chairs, you could consider a wide directors chair. These types of chairs are very sturdy and can support guests up to 600 pounds. But certainly more for the casual event and not intended for reception or office areas.